No matter what season it is, ankle booties are our go-to shoe to slip into. Wondering if you can boot up your dress with a pair of ankle booties? See what our Stylist, Baylee G. has to say about ankle booties with a dress. If you’re ready to show off your legs (weather- permitting) try out a mini dress with a pair of ankle booties. 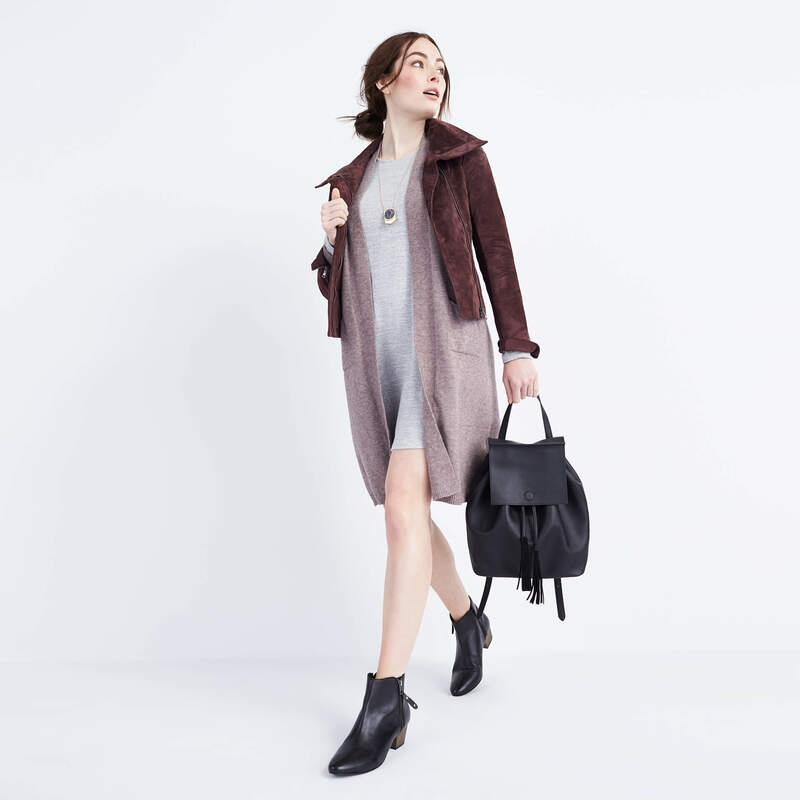 Try out a solid shift dress with your favorite pair of black ankle booties, or give your printed mini dress a spin with a pair of Chelsea boots for a casual look. Stylist Tip: Since you can show off more leg in a mini dress, experiment with different boot shaft heights. You can go low with one that sits below your ankle or a slightly taller one like a Chelsea boot. Not quite a mini and not quite a maxi, a midi dress is one of the most versatile dresses you can slip into this season. Most midi dresses (and skirts) hit in the middle of your calf. Keep your leg line looking long with a pair of ankle boots that hit no higher than your ankle bone (think a sleek suede pair of moto boots) and head out the door. If you’re ready to swap in separates for a dress, try your ankle booties with a skirt. Bring your booties to work with a pencil skirt and a pair of stiletto ankle booties, then add a polished button-up. Take your booties and skirt combo into the weekend with a pair of stacked heel booties and a flowing midi skirt. Stylist Tip: If it’s too chilly (or you prefer not to show your legs) try a pair of tights that match your ankle boots for a streamlined and chic look. How will you wear your ankle booties with a dress? Tell us in the comments!